Want to enjoy one of those delicious coffee shop concoctions while knowing exactly what’s going in your coffee? 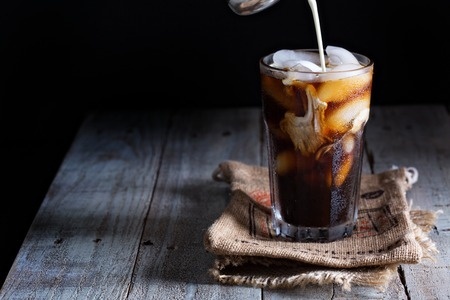 Check out these DIY flavored coffee creamers and DIY it at home! In a 1-qt. canning jar combine all of the ingredients; seal. Store in refrigerator up to 2 weeks. Shake before serving. Prepare as directed, except omit pumpkin and pumpkin pie spice. Add 3 Tbsp. chocolate-flavor syrup. Makes about 3 1/2 cups. Prepare as directed, except omit pumpkin, pumpkin pie spice, and vanilla. Add 1 tsp. almond extract and 1/2 tsp. ground cinnamon. Makes 3 1/4 cups. Prepare as directed, except omit pumpkin and pumpkin pie spice. Add 1/4 cup caramel-flavor ice cream topping. Makes 3 1/2 cups. Prepare as directed, except omit pumpkin and pumpkin pie spice and substitute 2 tsp. vanilla bean paste for the vanilla. Makes about 3 1/4 cups. Prepare as directed, except omit pumpkin, pumpkin pie spice, and vanilla. Add 2 tsp. hazelnut extract. Makes 3 1/4 cups.